You can think of your planner as the maestro(a) of your entire wedding day. This person is responsible for orchestrating the whole production to make sure each vendor knows their part and is playing the right tune. We are the only service that can guide you through the entire planning process from start to finish. We know exactly what each vendor costs, we know the venues and we know when and what tasks need to get done before the big day. When you don’t have the bandwidth to make another decision or you’re simply uninspired, we’re there to make sure your lipstick color is on point, to make sure the ribbons are the perfect cut and to make sure your boutonnière is placed just right. In this post I’m going to outline the role of a wedding planner and specifically the relationship we have with our clients as every true planner chooses to run his/her business differently. Your wedding planner may be a designer, he/she may just be a coordinator only, they may offer partial planning or be a full service planner. Here at Michelle Isabel & Co we are full service planners and designers that also offer management/coordination services. In just a few words we can confidently say that the role of a wedding planner is to allow you to sit back worry-free so you can focus on your marriage! But here is the extended version. We believe that weddings are sacred commitments that warrant the most epic of celebrations. It’s rare to gather your favorite humans all in one place to share a special meal, sip crafty cocktails and dance like it’s 1989. What a wedding planner does is to make sure your journey is as special as possible for you as it’ll never come again. No one couple is the same and it’s our goal to draw out your unique story and infuse that into your wedding day details. 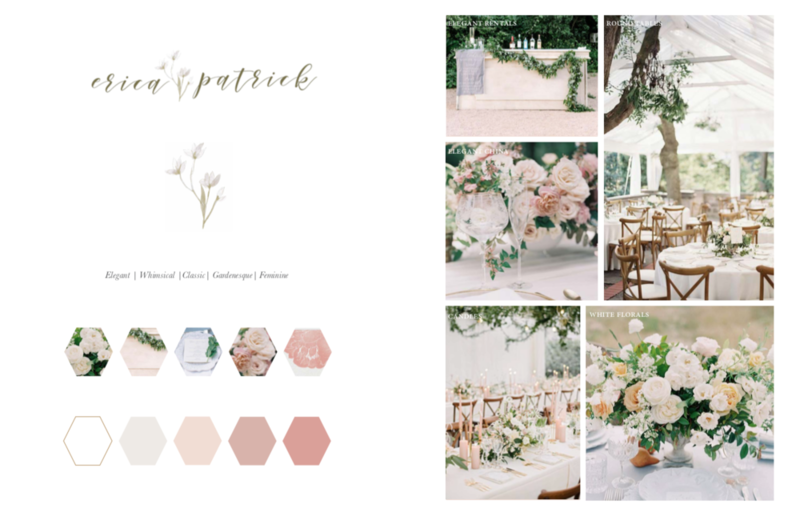 Once you say “I Do” to working with Michelle Isabel & Co, we’ll start with a Big Picture Meeting where we’ll discuss your vision and your budget. We will have a conversation about the location, the people, the food and cocktails, the colors, the entertainment and take it from there by prioritizing what’s important to you via a production timeline. The essence of your wedding planning journey with us comes down to that production timeline, which outlines every detail pertaining to your event from the rehearsal to the post-wedding-day brunch farewell. If you want to know more about what that looks like, take a peak at How to Create Your Wedding Day Timeline. If you don’t have a venue you we will start the official planning party by narrowing down your venue options to three venues that closely match your vision and needs HGTV-style. You’ll receive photos, maps, venue highlights, contact information, and will identify your needs so you know why this particular venue was recommended. If you need help find your venue you can hop over to How to Find the Perfect Wedding Venue. Once your venue is booked we’ll put together your planning timeline to make sure no stone is left unturned. You’ll know exactly when your food tasting is, when to try your cake, when to have your hair and makeup trial and when your marriage license appointment should take place. Our first order of business in your planning timeline is to dive deep into creating a design and experience your guests will talk about well after your wedding day ends. You’ll be presented with a 12-page design proposal outlining every visual aspect of your wedding down to your napkin fold. If you’d like to learn more about how to design your wedding you can check out The Secret to Hosting a Great Wedding. From there we’ll gather the perfect team that aligns with your values and your budget to execute on the design proposal and to bring your vision to fruition. We’ve built this business to run virtually for those that have demanding schedules, live out of the area, or simply to avoid 4 hours of traffic in Southern California for a 30 minute conversation. We use Zoom and your Client Portal for 90% of the planning to make sure your everyday life and responsibilities go as uninterrupted as possible. — Focused on the details. We specialize in producing events in logistically challenging spaces and unique environments under shorter timelines for cross cultural couples. This could mean that you’ve decided to host your wedding at a private estate that we need to build out, a national park where we need to gather special permits and work with specific vendors, a luxury venue that makes you jump through hoops at every turn, or simply a wedding venue that you love but don’t want it to look like every other wedding. We help couples that want a modern wedding but would also like to honor special traditions by weaving in customary elements into the overall wedding day. Your planner is your wedding planning bestie under the most professional standards to ensure that our duties to you are still fulfilled. This is done in a way where you feel like you’re still in control without having to do the legwork or invest the time in minuscule details you have no desire nor time to attend to. We are accepting 6 more clients for 2019 and invite to connect with us to see if our signature style will sing true to you. Send us an email plan@michelleisabel.com or inquire below.